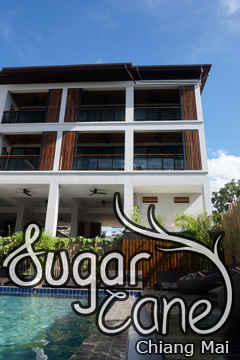 Baan Pim - Old City, Chiang Mai, Thailand - Great discounted rates! 6.7 out of 10 based on 56 verified user reviews via Agoda. Baan Pim is conveniently located in the popular Old City area. Offering a variety of facilities and services, the hotel provides all you need for a good night's sleep. All the necessary facilities, including free Wi-Fi in all rooms, luggage storage, Wi-Fi in public areas, tours, laundry service, are at hand. Comfortable guestrooms ensure a good night's sleep with some rooms featuring facilities such as television LCD plasma screen, internet access ?ÛÒ wireless, internet access ?ÛÒ wireless (complimentary), non smoking rooms, air conditioning. Access to the hotel's massage, garden will further enhance your satisfying stay. Friendly staff, great facilities and close proximity to all that Chiang Mai has to offer are three great reasons you should stay at Baan Pim. Baan Pim - Chiang Mai classifies itself as a 2 star hotel.